1. 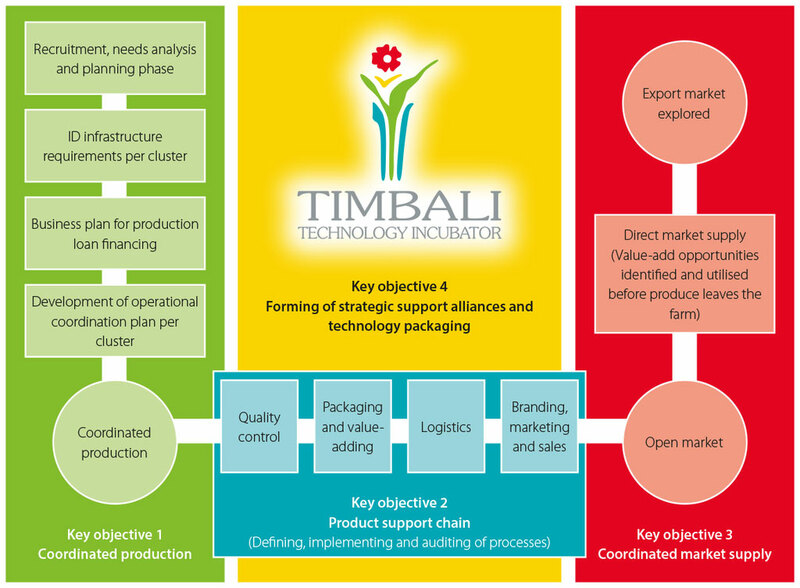 Coordination of Production Objective is aimed at recruiting, planning, establishing infrastructure, product development and acquiring production loan financing whereby production is coordinated within the cluster to satisfy market demand. 2. Extension of the product support chain Objective is aimed at consistently delivering a quality product to the market through quality control, logistics, marketing and sales. 3. Regulation and Coordination of market supply Objective is aimed at consistently meeting market demand with predictable high quality products. market linkages are depicted in Figure 1.